Quick update: I have a guest post over at the GradHacker blog on Inside Higher Education today. In it, I talk about how I got started as an editor and about the some of the unexpected benefits I found along the way. Check it out here if you’re interested. A couple of weeks ago, Swin Karim, a fellow alumni of Warren Wilson College, got in touch with me about being featured on his podcast, the 20something Roast. We talked about how I got started with editing, my background, some unique challenges facing young professionals today, and why writing is like being a plumber. Check out the episode here: How to be Great, Not Good, In Your Career. I like writing about resumes because the psychology behind them reveals a lot about good, clear writing in general. Today I want to talk about getting your resume past the first cut. Not about getting an interview or negotiating your salary, just making it past that first stage when the unfit candidates are weeded out from the pool. We’ve all heard the doom and gloom reports that getting a good job is extremely competitive. For any given position, your application might be one of HUNDREDS of other applications. This is a huge challenge, and I don’t want to minimize it in any way. Fortunately, understanding resume psychology can help you stand out. Spotted in my favorite mountain biking magazine. Nothing kills a joke like explaining it, but I’m going to anyway. We know what the first speech bubble is supposed to say, but what does it actually say? 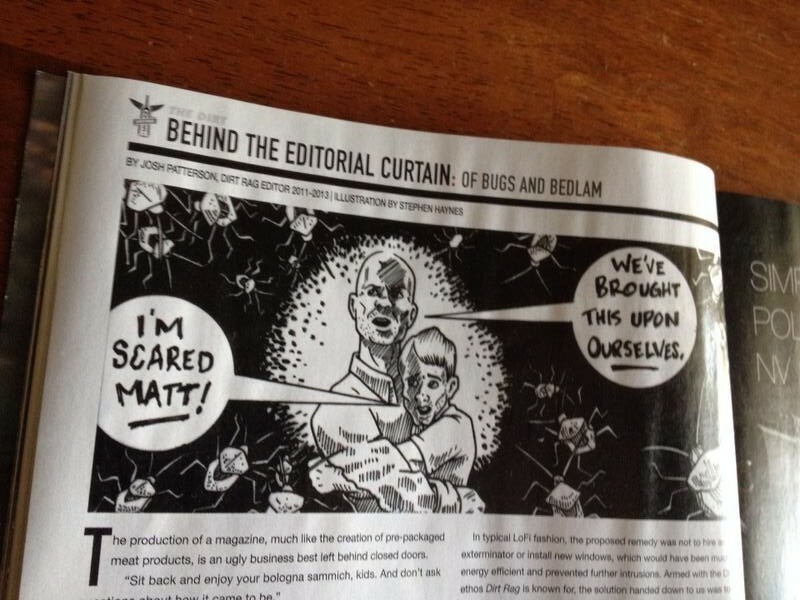 Without a comma between scared and Matt, it says “I’m the Matt who is scared” (not the Matt who is brave, or kind, or loquacious, or a Viking). Thanks to Alex Zamorski for this excellent article on working with an editor. If you’re not 110% sure, ask if the editor will edit a sample of your work. A sample edit of even just a few pages will provide you and the editor with a more clear idea of what your manuscript needs. You may think that your book only requires copyediting when in fact it needs substantive, and the editor will say so. Trust the editor’s judgment here—she wants to help you put your best book forward. Part of it is self-preservation: the editor wants to be proud of her editing work and of her client’s book. No harm in that! This is great advice because she really puts her finger on how important good communication and upfront conversations about your expectations are. 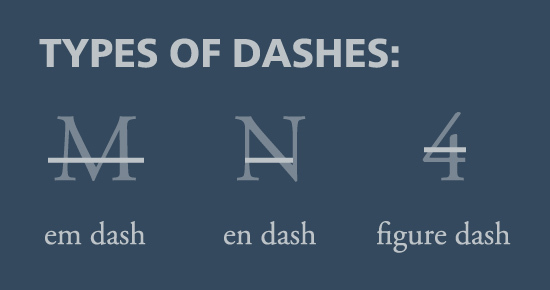 Do you know a dash from a hyphen? Getting the little details right says a lot about your professionalism. It demonstrates the care and time you put into your work. 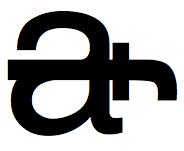 Hyphens and dashes are some of the of the most commonly misunderstood and misused punctuation marks. Check out this handy guide from Creativepro.com for a breakdown on what they are and when you should use them. The New York Times just published this great article on brevity by Danny Heitman. 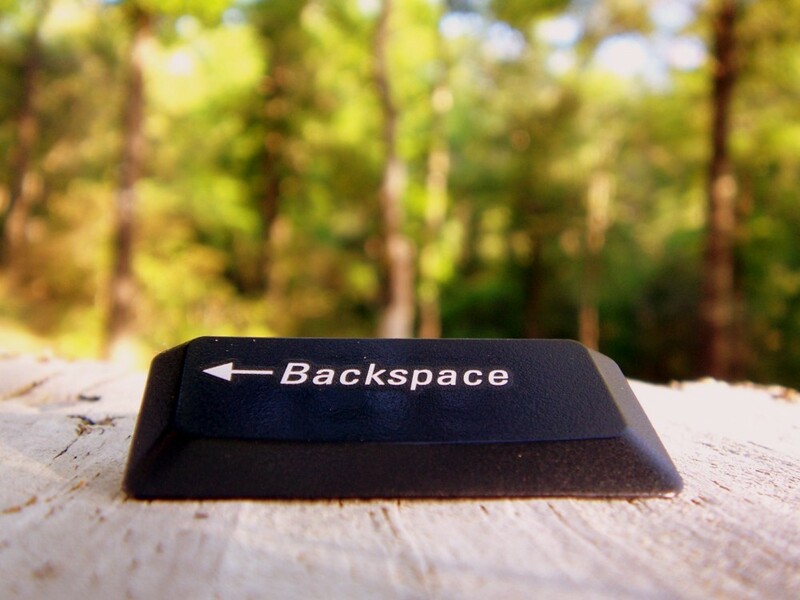 I love it for the reminder that the delete key should be your best friend if you want to write clearly. What this article doesn’t tell you, however, is the most crucial part. How should you decide which words to kick off the lifeboat? Read through your draft and look for the word of. Now, of is a fine word (a preposition, as it happens). But it’s often a place where you can cut some useless filler words. Fire up your delete key and try to eliminate as many of‘s as you can. Like this tip? Leave a comment below. Good night, and good writtens. This isn’t a grammar blog. I’m not going to explain the difference between transitive and intransitive verbs. There are lots of good places online where you can learn those rules (and when to break them). I’m passionate about clear writing, but I know few people have the time to invest in memorizing a grammatical vocabulary list. Instead, I’m going to share simple tactics for editing your own writing.